In this country, after the division of the state in 1993, the adequate pair of names are Česká republika- (the) Czech Republic and Česko- Czechia, pronounced [tchekia]. These names, each of them answering to its specific purpose, are standard codified expressions both in Czech and other languages. A vast majority of states have two official denominations: a political one and a geographical one. Such texts as the constitution, the laws and the international treaties will certainly prefer the political title which implies the type of the country´s system of government (in English, for example, the Kingdom of Belgium, the Portuguese Republic, the Federal Republic of Germany, etc.). Under these names, the states also enter international organizations. In everyday practice, however, the information about the type of government is redundant, stylistically affected, and therefore the shorter, geographical name (Belgium, Portugal, Germany) is used everywhere: in the entire field of news services, business, transport, tourism, sports, and even in the international organizations. Some of the foreign-language versions of the one-word name Česko, especially the German (Tschechien), the Dutch (Tsjechië), the Danish (Tjekkiet), the Swedish (Tjeckien), the Norwegian (Tsjekkia), the Romanian (Cehia) became accepted usage almost immediately and without difficulties. Unlike these, the English version Czechia needs stronger support. 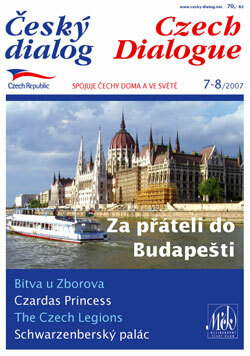 Although it appears on maps, in the Internet, in some dictionaries and other publications, most Czech representatives in the English speaking countries still avoid the name Czechia and use only the political title Czech Republic irrespective of the context (stylistic adequacy), which is a deviation from international customs. They reason that the word Czechia is not known in Great Britain and the USA but they hardly do anything to make it known. On the other hand, native speakers argue that the Czechs themselves do not use the name Czechia in their English conversation. Nevertheless, the need for a one-word denomination is unwittingly felt even in this case and, as a result, there appears the absurd "abbreviation" Czech (for example, "Pilsen.Czech"). Naturally, it is the citizens themselves who should promote and support the correct and meaningful name of the Czech state in all relevant languages. But also their foreign partners can offer them essential help if they do not hesitate to use the geographical name Czechia (Tchéquie, Tschechien, Chequia, Cechia ...) both in their public speeches and in private conversations. Mess in the names ?